Cash, Multibanco (National debit) and Credit Visa, Mastercard and American Express. One of the 7 wonders of Portuguese cuisine and worthy of being tasted, the Pastel de Belém can not go unnoticed by those who come to the Portuguese capital. With the end of the Portuguese Civil War (1828-34), for the consolidation of Liberalism in Portugal, the Minister of Justice of the time decreed the extinction of religious orders in Portugal. With the decree, all the convents and monasteries of Portugal were closed. All the clergy and the people who worked in these places were expelled. To ensure survival, one of those people who were expelled began to make these pastéis for sale, which were previously made only inside the monastery, and soon became known as “Pastéis de Belém”, since it sold these sweets in that region. Even with the distance from Lisbon at the time, there were steamboats that made it easier for people to visit the Belem Tower and the Jeronimos Monastery, thus ensuring that the region remained frequented by visitors, and that at last added this activity to do on the spot: Eat the delicious pastéis. 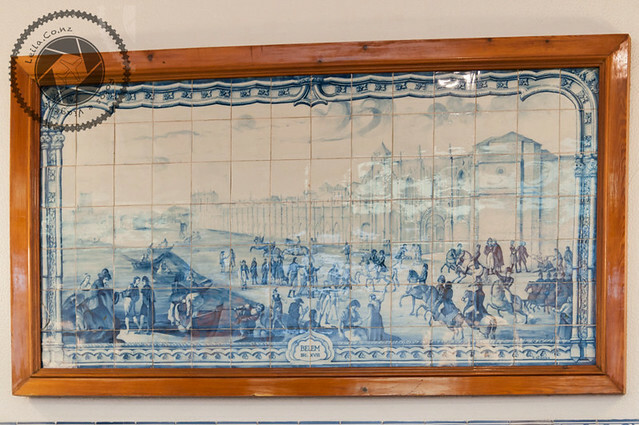 Already in 1837, the establishment was inaugurated near the old place where the pastels of Belém were sold. Over time, the establishment grew in size until arriving at what we find today. When they realized the size of the success the pastéis were making, the recipe was kept “seven keys.” From then until the present day the recipe are only divulged to the pastry masters of the famous “Pastéis de Belém” after proving themselves worthy of this knowledge. Masters, before having access to the recipe, should take an oath and sign a non-disclosure statement. In order for the recipe to remain only among the masters, they manufacture 1 to 1 craftsmanship within the Secret Factory. 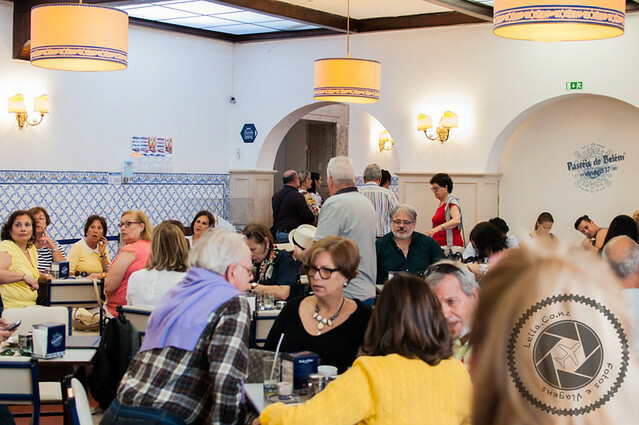 The “Pastéis de Belém” recipe used until today is the same since the time of the opening of the house and currently only 6 people who know the recipe and 3 are in the active. Take away: It is the row you will find outside the establishment. You can order and eat wherever you wish. There are lounges in the inner part intended for those who don’t want the attendance at the table. Balcony: The customer must order and withdraw at the counter. There are halls in the inner nature for those who do not want the attendance at the table. Table: The customer will make and receive the order on the table. It is the type of service done with waiters and there are exclusive salons for this type of service. If you have a short time, it is recommended to use the take away or the counter service. 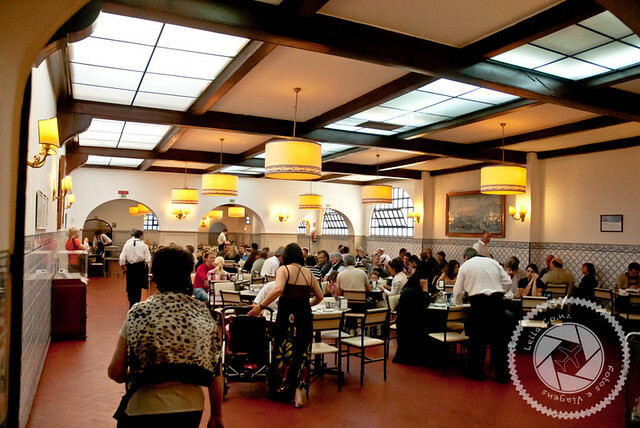 Overall, as it is a place with a very large flow of people, the attendance at the tables could be very slow. Although very similar, they aren’t the same thing. 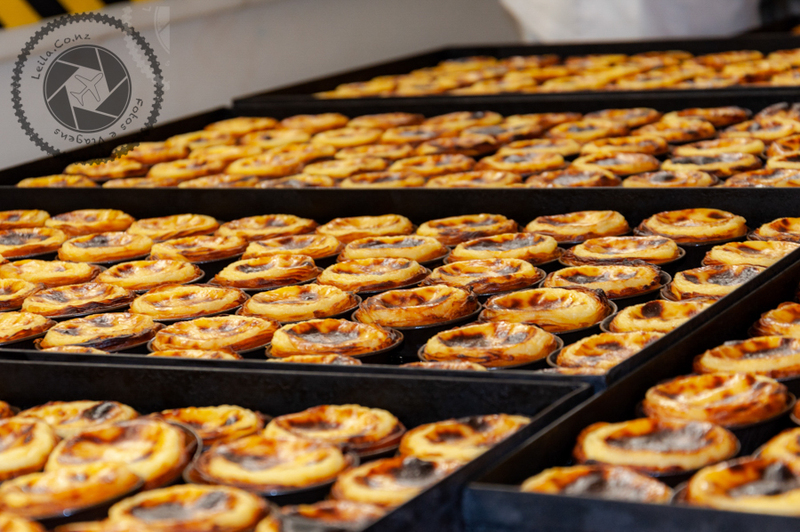 The history of the Pastel de Nata began in Belém and later became the well-known Pastel de Belém. Since the recipe for this pastries isn’t divulged and only a few people have this knowledge, several confectioners in Portugal started to try to reproduce the most secret recipe of the world. 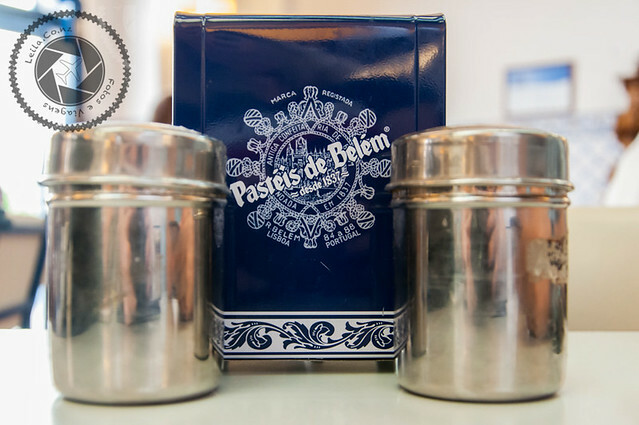 With this, the pastéis de nata began to be produced all over the country and became a Portuguese delicacy … however, Pastéis de Belém remain solely and originally those that are made in Belém. What is the best? There are controversies, after all, tastes are personal… the ideal is to prove both of them to decide for themselves. 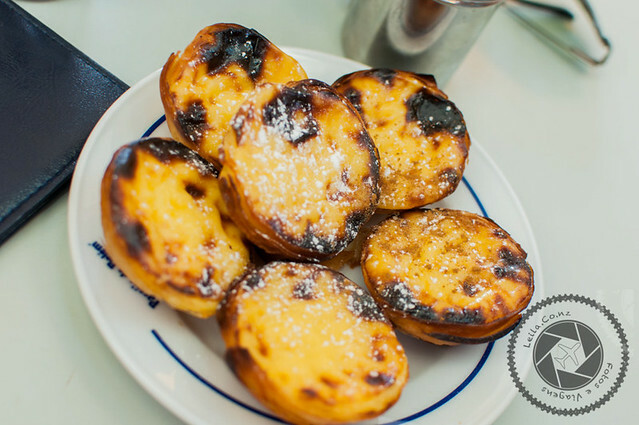 The recipe of the Pastel de Belém is a secret, but the recipe of Pastel de Nata there are several versions. If you want to venture out and try, click here to access one of these recipes. Was elected one of the 7 wonders of gastronomy in Portugal. An average of 21,000 Pastéis de Belém is sold per day, on weekends this quantity can double the amount. There is a Portuguese proverb that says, “Bride who eats the cake does not take away the ring.” It is not uncommon to find newlyweds who are looking for a cake right after the wedding ceremony, no wonder if you meet couples who have stopped to eat a cake on the way to the party. 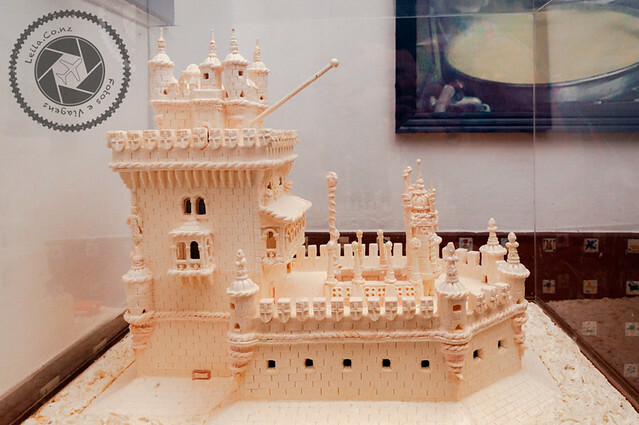 Inside the restaurant there’s a miniature Belem Tower made of icing sugar. I really like the Pastel de Belém and I think it’s different from the Pastel de Nata that we find in Portugal. I don’t usually use the waiter service at the table because of the waiting time, I prefer the service at the counter or take away. 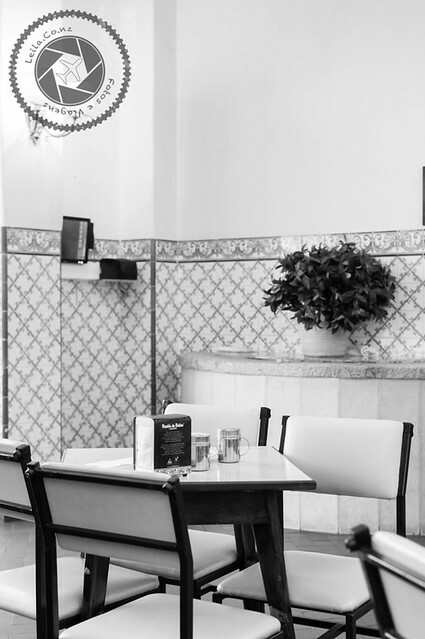 It is a super valid gastronomic experience and I believe that all who visit Lisbon should experience these delights.